This week’s notable decision is Prime Healthcare Services – Landmark LLC v. United Nurses and Allied Professionals, Local 5067, No. 16-1161, __F.3d__, 2017 WL 462106 (1st Cir. Feb. 3, 2017). This case involves a dispute between employees and their successor employer over the terms of a defined pension benefit plan and contributions to the plan. The union filed a request for arbitration but the employer filed a petition to stay arbitration. The district court ruled in favor of the employer that ERISA preempted the Union’s claims. The First Circuit Court of Appeals addressed two questions: first, whether the present case raised a question of substantive arbitrability, and with it, the presumption against arbitration; and, second, whether the subject matter of the Union’s claims is suitable for arbitration. The court held that a statutory bar to or preemption of arbitration is not an issue of arbitrability. This case should proceed to arbitration and the arbitrator will decide whether ERISA bars or preempts the Union’s claims. Scarangella v. Group Health, Inc., No. 16-568, __F.App’x__, 2017 WL 421820 (2d Cir. Jan. 31, 2017) (PRESENT: PETER W. HALL, CHRISTOPHER F. DRONEY, Circuit Judges, JANE A. RESTANI, Judge). The district court did not abuse its discretion in denying attorneys’ fees to Village Fuel. The court explained that the district court could reasonably conclude that the relative merits factor and the culpability or bad faith factor did not weigh in favor of Village Fuel because issues of material fact remained undecided. Further, the district court did not err in concluding that deterrence of unjustified denial of coverage would not result, given the indications of potential fraud by Village Fuel, nor in finding the common benefit factor was not met. Christian v. Powell, Jr., No. 16-CV-673 (KBF), 2017 WL 398406 (S.D.N.Y. Jan. 30, 2017) (Judge Katherine B. Forrest). Following entry of judgment for Plaintiff in the amount of $8,000 for overpaid disability payments, the court awarded $17,948.50 in attorneys’ fees against the pro se defendant. North Cypress Medical Center Operating Co., Ltd., et al v. Cigna Healthcare, et al, No. 4:09-CV-2556, 2017 WL 412992 (S.D. Tex. Jan. 31, 2017) (Judge Keith P. Ellison). In this ongoing dispute between a provider and insurer, the court rejected North Cypress’s claim for attorneys’ fees under ERISA’s fee-shifting provision because fact questions remain and an award of attorneys’ fees would be premature at this stage. McDonald v. Jones, No. 4:16 CV 1346 RWS, 2017 WL 372101 (E.D. Mo. Jan. 26, 2017) (Judge Rodney W. Sippel). 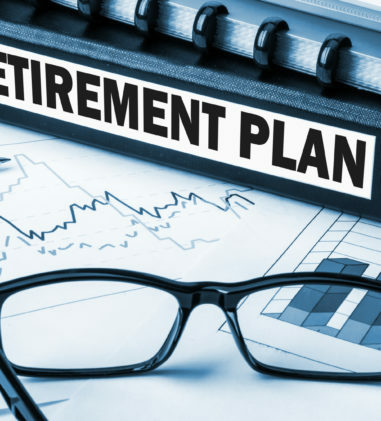 In this lawsuit alleging breach of fiduciary duty and prohibited transactions related to a 401(k) plan, the court denied Defendants’ motion to dismiss in part because the complaint states viable claims. Defendants’ defense that they offered an array of investment options does not insulate them from Plaintiff’s claim that they violated their fiduciary obligations and affiliated themselves with funds which benefitted them at the expense of plan participants. Plaintiff may seek recovery for the plan even though she did not personally invest in every one of the funds that caused an injury to the plan. The court granted Defendant The Jones Financial Companies, L.L.L.P.’s motion to dismiss because the complaint fails to allege any facts which would establish that entity is a plan fiduciary. Tulino v. United of Omaha Life Ins. Co., No. 15 CIV. 3731 (RWS), 2017 WL 384068 (S.D.N.Y. Jan. 26, 2017) (Judge Robert W. Sweet). Taking into consideration United’s conflict of interest under an abuse of discretion standard of review, United did not act arbitrarily or capriciously in finding that Plaintiff’s heart condition was no longer disabling. Following a large heart attack in 2012, Plaintiff claimed that he continued to be entitled to long-term disability benefits because stress exacerbates his symptoms and that workplace emotional stress might worsen his cardiac condition. The court found that United’s doctors took this into account but reasonably found that work stress considerations will not likely affect his heart condition. Killian v. Hartford Life & Accident Ins. Co., No. CV 16-1377, 2017 WL 429905 (E.D. Pa. Jan. 31, 2017) (Judge Edward G. Smith). Plaintiff claimed disability based on symptoms following chemotherapy for breast cancer. The court determined that Plaintiff did not meet her burden to establish that Hartford’s termination of her LTD benefits was arbitrary and capricious. The administrative record does not show any structural or procedural bias. Goff v. Frontier Commc’ns of Am., Inc., No. 2:16-CV-05689, 2017 WL 440731 (S.D.W. Va. Feb. 1, 2017) (Judge Thomas E. Johnston). The court held that Plaintiff’s breach of contract claim against Prudential is completely preempted and dismissed. Plaintiff’s WVUTPA claim is also dismissed since it requests damages unavailable under ERISA and is duplicative of that alleged under § 502(a)(1)(B). Plaintiff’s negligence and bad faith claims relate to the ERISA plan because they seek to enforce fiduciary obligations under the Group Insurance Contract, and because Plaintiff has an adequate remedy under § 502(a)(1)(B), those claims are completely preempted and dismissed. Plaintiff’s reasonable expectations claim is based on a doctrine and does not create a cause of action. Because it seeks recovery of benefits under an ERISA plan, the claim is preempted and dismissed. Sutherland v. Disability RMS A/K/A Disability Reinsurance Management Services, No. 3:16-CV-00683-JHM, 2017 WL 403574 (W.D. Ky. Jan. 30, 2017) (Judge Joseph H. McKinley, Jr.). The court granted Defendant’s motion to dismiss since American United Life Insurance Company (“AUL”) must be joined as a necessary party under Rule 19. AUL is the plan administrator of the disability plan. 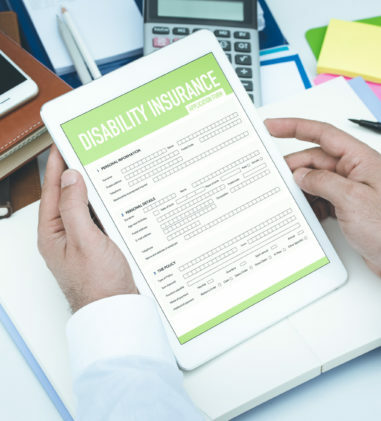 It is also the insurer and issuer of the disability policy. AUL is responsible for claims decisions even if it has an arrangement with RMS to actually make the determinations. Johnson v. Life Insurance Company of North America, No. CV 5: 16-087-DCR, 2017 WL 412632 (E.D. Ky. Jan. 30, 2017) (Judge Danny C. Reeves). For Plaintiff with right knee meniscal tear with exacerbation of previously dormant and asymptomatic arthrosis and chronic pain syndrome, the court found that LINA’s denial of long-term disability benefits was not an abuse of discretion and supported by substantial evidence, including a file review by Dr. Stephen Jacobson. LINA also gave proper consideration to the SSA decision. Brooks v. Boilermakers–Blacksmith Union Nat’l Pension Trust, No. 3:15-1034, 2017 WL 413800 (M.D. Tenn. Jan. 30, 2017) (Judge Barbara D. Holmes). 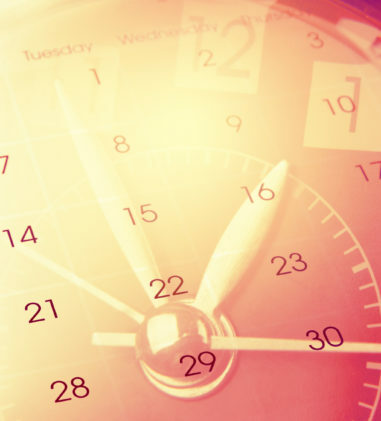 The court determined that it was not an abuse of discretion to deny Plaintiff’s appeal of his application for pension disability benefits based on the Plan’s 120–hour rule which was not contained in the pension plan document at the time Plaintiff became disabled in December 2006. 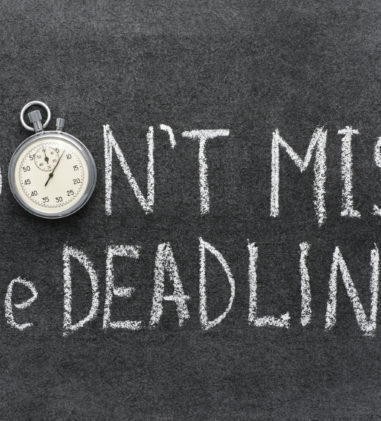 The rule requires applicants to work 120 hours of Covered Employment either in the year of disability or the preceding year, and it explicitly applies to an individual whose application is postmarked or submitted to the fund office on or after October 1, 2008. The plan also did not abuse its discretion by using the SSA amended disability onset date of November 16, 2010. Decovich v. Venetian Casino Resort, LLC, No. 211CV872JCMCWH, 2017 WL 388819 (D. Nev. Jan. 26, 2017) (Judge James C. Mahan). On remand from the Ninth Circuit Court or Appeals and on de novo review, the court found in favor of Defendant on Plaintiff’s long-term disability claim. Although Plaintiff may have had physical difficulty performing her employment as a casino dealer and suffered from stomach pain and fibromyalgia, the weight of the medical evaluation and discussion on the record supports the conclusion that Plaintiff has not surmounted her burden to show that she was disabled. Till v. Lincoln National Life Insurance Company, et al., No. 16-14799, __F.App’x__, 2017 WL 393257 (11th Cir. Jan. 30, 2017) (Before JULIE CARNES, JILL PRYOR, and ANDERSON, Circuit Judges). 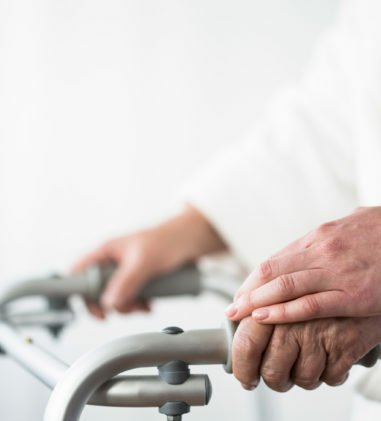 The court affirmed summary judgment in favor of Lincoln National in this lawsuit brought by a radiology technologist who claimed disability resulting from an exacerbated back condition. Lincoln National did not abuse its discretion or deny Plaintiff a full and fair review. Prime Healthcare Services – Landmark LLC v. United Nurses and Allied Professionals, Local 5067, No. 16-1161, __F.3d__, 2017 WL 462106 (1st Cir. Feb. 3, 2017) (Before Torruella, Lipez, and Barron, Circuit Judges). In this matter involving a dispute between employees and their successor employer, where the parties agreed to arbitrate the dispute, the issue of whether ERISA bars or preempts the Union’s claims should be resolved by an arbitrator, not by a court. 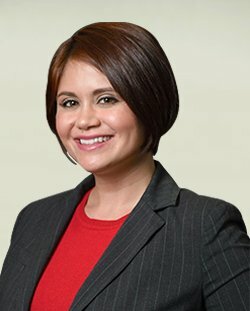 Morales–Ramos v. Pfizer Pharm. LLC, No. CV 16-1266 (FAB), 2017 WL 384301 (D.P.R. Jan. 26, 2017) (Judge Francisco A. Besosa). Plaintiffs’ amended complaint, wherein they dropped all federal causes of action and only pled a violation of Puerto Rico Commonwealth law, is not preempted by ERISA and the court granted Plaintiffs’ motion to remand. The court found that Plaintiffs are not asserting a claim for benefits under an ERISA plan, only seeking to hold Defendant accountable for the “wrongful” involuntary termination of employment. Plaintiffs seek reinstatement of employment and any benefits of employment. Chang v. Prudential Insurance Company of America, No. 16-CV-3351, 2017 WL 402980 (D.N.J. Jan. 30, 2017) (Judge Claire C. Cecchi). 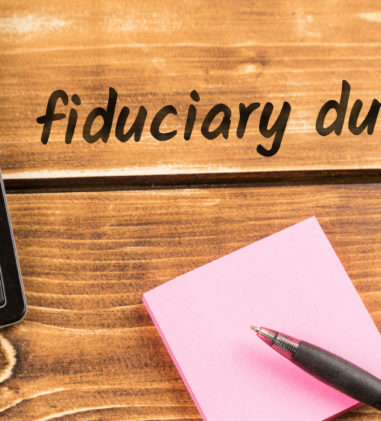 The pro se plaintiff’s state law claims against Prudential for releasing funds to Plaintiff’s ex-wife, who stole his identity to terminate his 401(k) plan account and receive the proceeds, is preempted by ERISA. This is even if he cannot assert an ERISA claim for benefits or breach of fiduciary duty claim. Trustees Of The U.A. Local 38 Defined Benefit Pension Plan; Lawrence Mazzola, Jr., v. Trustees Of The Plumbers And Pipe Fitters National Pension Fund; William P. Hite, No. 14-16543, __F.App’x__, 2017 WL 393712 (9th Cir. Jan. 30, 2017) (Before: O’SCANNLAIN, GOULD, and M. SMITH, Circuit Judges). The court dismissed National’s breach of contract claim for lack of subject matter jurisdiction since it is not completely preempted by ERISA. Neither prong of the preemption test is satisfied. The first prong is not satisfied because National could not bring its breach of contract claim under ERISA § 502(a)(2) because the Trustees of Local 38 do not exercise any control of National’s plan assets, and are therefore not fiduciaries of National’s plan. National also could not have brought its action under ERISA § 502(a)(3) because it is seeking damages for breach of contract, not equitable relief, and because National is not seeking to address a violation of ERISA or an ERISA plan. Neurological Surgery, P.C. v. Northrop Grumman Sys. Corp., No. 215CV4191DRHAKT, 2017 WL 389098 (E.D.N.Y. Jan. 26, 2017) (Judge Denis R. Hurley). The Providers failed to exhaust their administrative remedies as required under the Plans for each of the five claims for which they seek payment. They only alleged “repeated attempts” to communicate with the administrator but no attempts to appeal. They have also failed to clearly and positively demonstrate futility in pursuing those remedies. Their state law claims are preempted by ERISA. Martino v. Cigna Insurance Company, No. CV 16-05257-SDW-LDW, 2017 WL 385780 (D.N.J. Jan. 27, 2017) (Judge Susan D. Wigenton). This breach of insurance policy claim is dismissed on the basis of ERISA preemption and failure to exhaust administrative remedies. Plaintiff was provided notice on May 24, 2012 that she had been denied payment under the insurance policy and had sixty days to appeal the denial with CIGNA Group Insurance. The Complaint neither states that Plaintiff made an internal appeal, nor provides any basis upon which the court could determine that filing an internal appeal would have been futile. Plaintiffs did not file the Complaint in the Superior Court until July 25, 2016, more than four years after the date of the denial notice. Guardian Life Ins. Co. of Am. v. Pundyk, No. 216CV01196APGGWF, 2017 WL 438740 (D. Nev. Feb. 1, 2017) (Judge Andrew P. Gordon). The court granted default judgment against the defendant in this interpleader action filed by The Guardian Life Insurance Company of America due to competing claims for life insurance benefits under an ERISA plan. The defendant was served but did not file an answer or oppose the motion for default judgment. Masuda-Cleveland v. Life Ins. Co. of N. Am., No. CV 16-00057 LEK-RLP, 2017 WL 427497 (D. Haw. Jan. 31, 2017) (Judge Leslie E. Kobayashi). In this lawsuit for accidental death benefits, the court denied Plaintiff’s motion to expand the administrative record on the basis that Defendant offered a new reason for denial in its final denial letter and that Defendant did not give Plaintiff a medical report generated during its final review of Plaintiff’s appeal. The court found that all denial letters stated that the insured died as a result of a medical event, likely having to do with his heart, and that it was a medical event that caused a car crash. Here, the SPD and the Plan are the same document. The Plan references the Policy which contains discretionary language. Thus, abuse of discretion review applies. Haw. Rev. Stat. § 431:13-102 does not bar discretionary clauses. Derryberry v. Pharmerica Corp., No. CIV-16-207-C, 2017 WL 377945 (W.D. Okla. Jan. 26, 2017) (Judge Robin J. Cauthron). 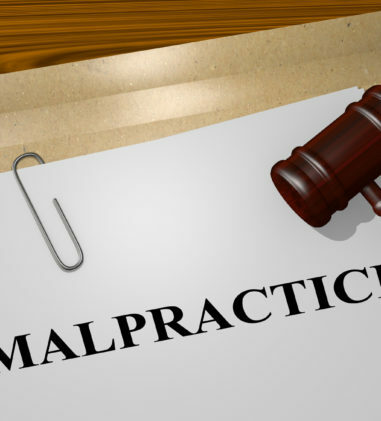 In matter where an HR employee sent a letter giving a new hire the wrong date life insurance coverage would take effect and the new hire died before coverage actually took effect, the court found that Defendant is entitled to judgment on the surcharge and equitable estoppel claims. The HR employee, by sending a letter about plan eligibility, was performing administrative, rather than fiduciary, tasks. The court also found that the letter did not cause any actual harm to Plaintiff since it just induced early enrollment and no premiums were deducted. Jacques v. Jacques, No. 8:16-CV-1297-T-33TGW, 2017 WL 447214 (M.D. Fla. Feb. 2, 2017) (Judge Virginia M. Hernandez Covington). In this life insurance dispute where the court authorized interpleader and held that Prudential would be forever discharged with respect to claims brought by the competing beneficiaries, the court denied a motion for prejudgment interest. It explained that it would take compelling circumstances, akin to fraud or similar malfeasance—which are not present here—for the court to retract from the broad release it granted to Prudential when interpleader was authorized. Soich v. Aetna Life Ins. Co., No. 3:16-CV-88-SI, 2017 WL 449171 (D. Or. Feb. 2, 2017) (Judge Michael H. Simon). Following a bench trial on the administrative record, the court concluded that the pro se plaintiff is not entitled to reimbursement of funds from a Health Care Spending Account because some of the expenses were already paid, Plaintiff did not exhaust administrative remedies, and Plaintiff submitted requests beyond the clear deadline. Weller v. Linde Pension Excess Program, No. 216CV04254JLLJAD, 2017 WL 399206 (D.N.J. Jan. 30, 2017) (Judge Linares). 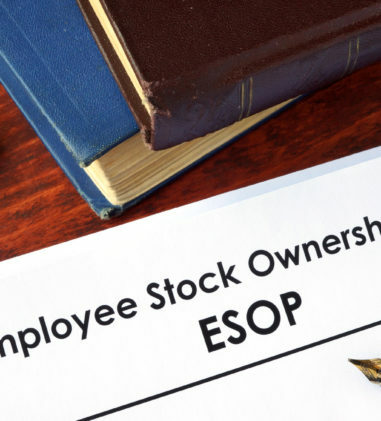 This matter involves an alleged nonpayment of deferred employee compensation benefits. Defendants moved to dismiss on several grounds, including that the Linde Pension Excess Program is not an ERISA plan. The court denied Defendants’ motion since Plaintiff has standing to bring an ERISA cause of action and it is not clear if ERISA preemption applies at this stage in the matter. Rivera v. FCA US LLC–UAW Pension Bd. of Admin., No. 15-CV-10481, 2017 WL 449177 (N.D. Ill. Feb. 2, 2017) (Judge Robert M. Dow, Jr.). The court granted Defendant’s motion for summary judgment against Plaintiff, who is the former spouse of a deceased pension plan participant. The court found that Plaintiff does not have a colorable claim to benefits, where Plaintiff admits that (1) the Marital Settlement Agreement expressly provides that Plaintiff does not have any interest in the former spouse’s pension and (2) neither she nor the former spouse obtained a QDRO that provided Plaintiff any rights to the pension. AllianceMed LLC v. Aetna Life Ins. Co., No. CV-16-02435-PHX-JAT, 2017 WL 394524 (D. Ariz. Jan. 30, 2017) (Judge James A. Teilborg). AllianceMed does not have standing to enforce the policy as a beneficiary since it is not an assignee of the patient’s insurance policy. 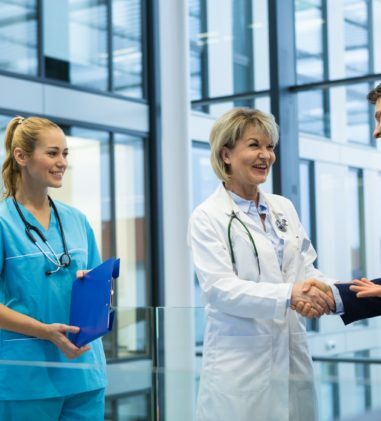 The “designation of authorized representative form” gave AllianceMed the authority to represent the patient in the internal payment, claims, and appeal process but it did not give AllianceMed a contractual right to collect benefits under the plan. The Estate Of Mark Jennings v. Delta Air Lines, Inc., et al., No. CV 15-962 (JBS/AMD), 2017 WL 401945 (D.N.J. Jan. 30, 2017) (Judge Jerome B. Simandle). The court denied the parties’ motions for reconsideration of its previous determination finding that certain of Plaintiffs’ claims were time-barred by ERISA’s 3-year statute of limitations for claims of which the plaintiff had actual knowledge of the breach or violation, but that others were timely under ERISA’s later 6-year limitations period. Dodge v. Hartford Life and Accident Insurance Company, No. 4:16-CV-00719-BRW, 2017 WL 412633 (E.D. Ark. Jan. 30, 2017) (Judge Billy Roy Wilson). 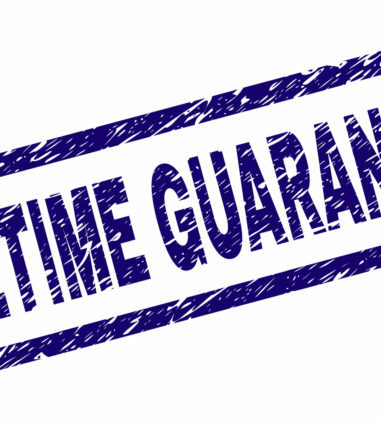 Section 23-79-202 of the Arkansas Code is not a controlling statute to the contrary such that the policy’s 3-year contractual limitation period applies and Plaintiff’s long-term disability lawsuit is time-barred.